Kentucky got off to a fast start, hitting their first three shots from the floor taking an early lead. South Carolina would score the next four points, but would go on 7-2 run. The Gamecocks made a pair of free throws, before Kentucky scored six straight, all by Morris. South Carolina scored the last seven points, but Kentucky would have a 20-17 after one quarter. 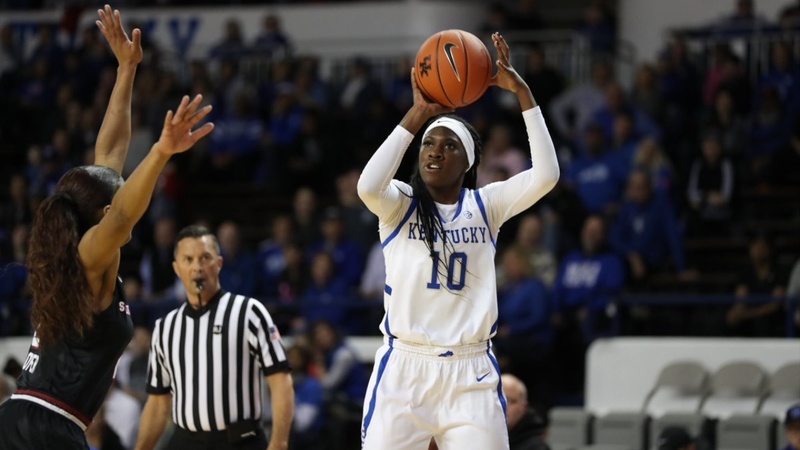 Kentucky hit nine of sixteen attempts, while South Carolina hit seven of sixteen. South Carolina scored first to start the second quarter, cutting the lead to just one.